Thank you as ever to Mr Hogan for kindly supplying us with photographs. The series of Lourdes displays on our Main Corridor will be updated with the new group photos. 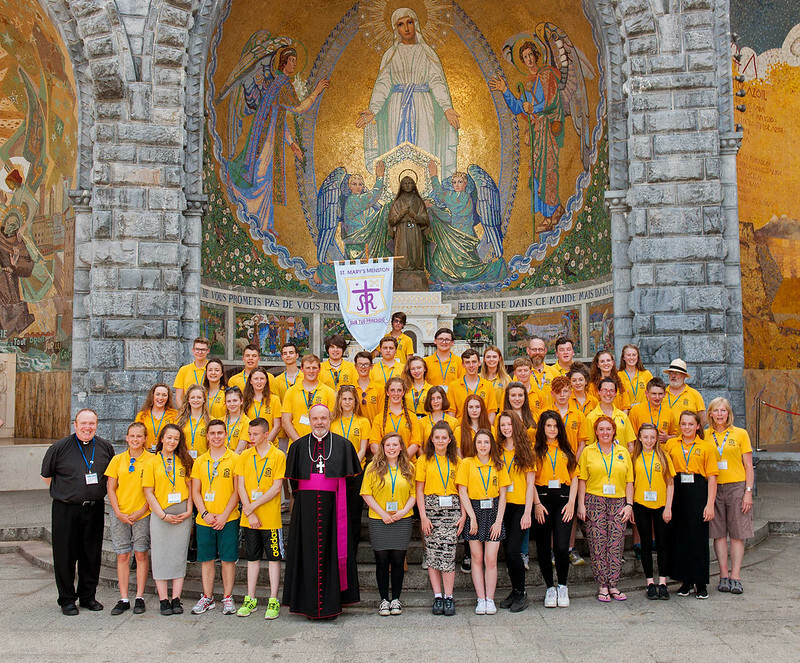 Photo: Group photo of Leeds Diocese Lourdes 2015. Can you spot the St. Mary's banner?